Meghan Markle knows how to sit like a lady, but according to several scandalized “Royal watchers” she doesn’t know how to sit like a Duchess. 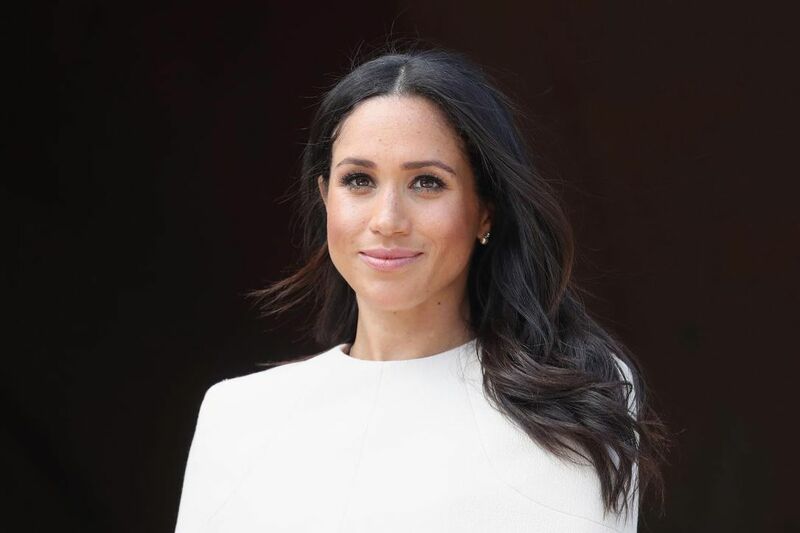 The American actress turned Duchess of Sussex made a stir in the British press this week after she was spotted sitting at a palace reception like a normal person, with her legs crossed at the knee. Apparently, this is a major etiquette mistake. Royal women aren’t supposed to sit as common women sit. The DS requires that the seated royal keep her ankles together and angle her legs to one side. It’s very uncomfortable and demands a surprising amount of upper thigh strength. I know this because I’m doing it right now. That said I have full confidence that Markle, a woman with superior quads, will master the move in no time. If only that was her biggest challenge. Unfortunately, the “Duchess Slant” is child’s play compared to Markle’s other more pressing etiquette problem: her own father. You may have heard of him. I’d wager there isn’t a soul alive who hasn’t. Thomas Markle is everywhere — in every tabloid, on every continent. You may remember him from his staged paparazzi photo shoot earlier this year. The duchess’ disgruntled dad allegedly sold photos of himself to tabloids prior to his daughter’s May wedding (an event he did not attend) in which he is pictured lifting weights, reading up on British landmarks, and being measured for a suit. Markle Sr. tragically suffered a heart attack prior to the wedding, but this hasn’t stopped him from dishing about his daughter’s life in the press. Earlier this month, he gave an exclusive interview to Good Morning Britain peppered with personal information about Meghan and Harry, from the Prince’s private political opinions to Harry’s alleged promise he’d never “raise his hand” against Meghan. This week Markle Sr. spoke to the tabloids again, telling TMZ he believes his daughter’s new family, who he has never met, is “putting him in the penalty box.” Markle Sr. is under the probably accurate impression that the royal family is displeased with his candid media appearances. Regardless, he remains confused about why he has yet to lunch with the Queen. Here he is in TMZ: “If the Queen is willing to meet our arrogant, ignorant, and insensitive president [Donald Trump] she has no excuse not to meet me, I’m nowhere near as bad.” It’s true, he isn’t. But by this logic, nearly everyone in the world should receive a private audience with Her Majesty because very few are “near as bad” as The Donald. And yet, maybe the Queen should give him an audience. Not Trump, who she is unfortunately obliged to entertain, but Markle Sr. who she isn’t. Has Meghan’s dad embarrassed his daughter and her new family in a bizarre, persistent fashion? Yes. But for the love of God can’t the Royals just throw him a bone already so that he retreats from public view? If not for our sakes (tabloid readers bored of seeing his mug in magazines at the nail salon) then at least for Meghan’s sake: a newly married woman who not only has to contend with the fact that her dad missed her wedding but that he didn’t even hesitate to tell Piers Morgan intimate details about her life, including approximately when she might procreate. Markle Sr.’s is a sad case, and maybe his tabloid shilling is motivated by money, but he also appears to crave official public recognition from his new and distant brood. They should give him some. It could be a title: Sir Markle. Big Papa. Whatever. It could be a basket full of All Sorts. 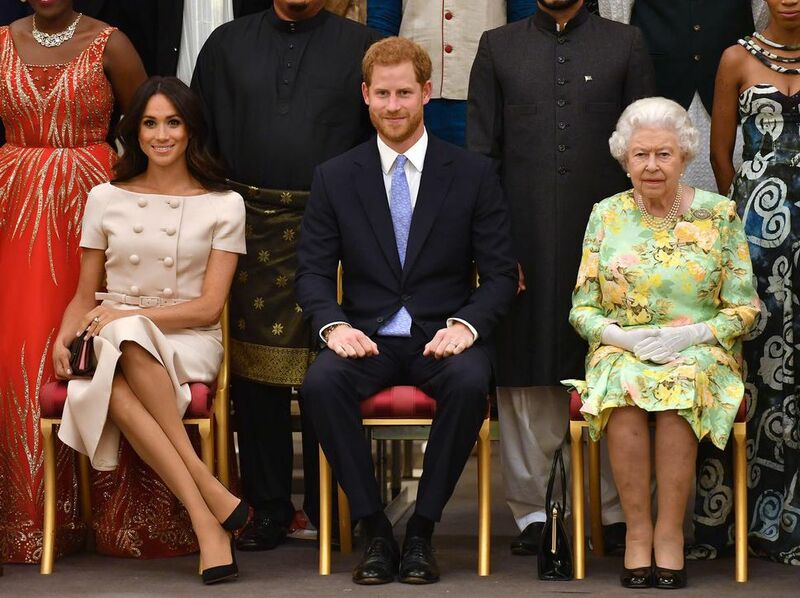 Anything to quell his yearning for the spotlight, so that the Duchess of Sussex can get on with her life and fret about the low stakes stuff, like how to sit in a chair at a palace reception.